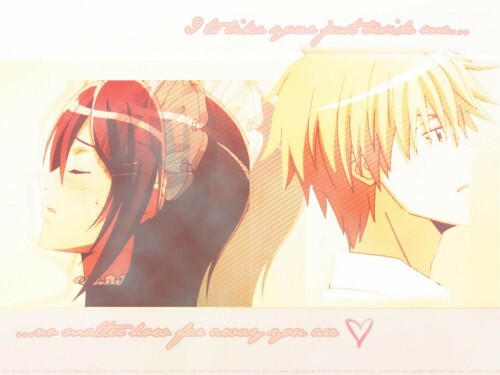 This is a wallpaper of Usui Takumi and Ayzawa Misaki from Kaichou wa Maid-sama! It's a simple wall showing their love~! i cant read the top wat dose it say? by the way awsome picture! i love your pic is very well done awsome! Wow *? * so cooool! I love them! Wow *O* so coooool! I love them very much! Hyuuu ! Thank you so much !